Our children's ministry serves to build a solid foundation of faith in God through scripture so our children will be prepared for life's challenges. Nursery, Beginner A, Beginner B, and Children’s Bible Fellowship are offered during the Sunday School hour for children ages infant through 6th grade. 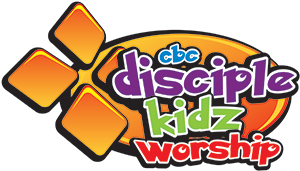 DiscipleKidz Worship is offered during the 10:30am service hour for elementary aged children. It is a worship experience specifically catered to their age group. Awana is the children’s ministry on Wednesday night for children ages 2 through 5th grade. Nursery is available for children under 2. Leaders work with the kids on a weekly basis and assist the Director of the club. Must be 18 years or older. One year church membership is preferred. A background check is required.